TAVISTOCK are on their way back to the A Division after an absence of four seasons having clinched promotion on a dramatic final day. Tavvy knew a win at Ipplepen was a must if they wanted to catch Seaton for second place – but not enough on its own. Seaton had to lose their game away to relegation worriers Cullompton for Tavistock to finish higher than third. Cullompton obliged with a three-wicket win to do themselves a favour and Tavistock one at the same time. Tavistock kept their end of the bargain by trouncing Ipplepen by nine wickets. Pens made it to 174 for nine in 45 overs with runs from opener Gareth Penrice (27), Chris Partridge, a patient 25, and Ash Harvey (24). Charlie Barriball (3-23) got ahead of James McGahey (2-35) and Shaun Daymond (2-26) in the wicket-taking list. The run chase was a perfunctory affair, led from the off by openers James White and Ian Gray. White batted through for 102 not out off 86 balls – 18 fours, one six – and put on 127 with Gray (44). When Gray went at 127 Dom Snyman replaced him and let White get on with it. Of the 50 runs scored to win the game, White bludgeoned 41 of them. Chairman Dave Manning, who pouched a couple of stumpings and a catch in the game, said Tavistock found an unusual way to win promotion. “We lost three of our first four games, due largely to under-preparation, then only lost one more all season,” said Manning. “You have to feel for Seaton a bit as we have not been in the top two all season, until mugging them on the last day. “Promotion has come at the right time for us as the older ones – like myself – won’t want to be playing the longer games in the A Division in a few years time. “For the younger players, like James White and the Barriball brothers, this is the right time for them to be playing a better level of cricket. 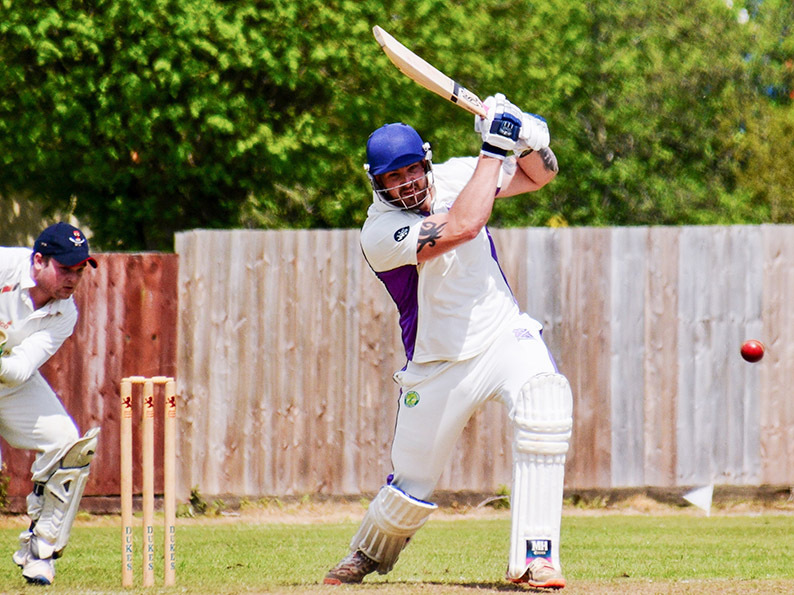 PLYMSTOCK survive to fight another season in the B Division thanks to a three-wicket win over visiting Shobrooke Park in the relegation dog-fight. Going into the final day of the season there was a real danger Plymstock could be relegated for the second successive season. Only a handful of points separated Cullompton, Shobrooke Park and Plymstock, one of whom would be going down with Babbacombe. Cullompton’s win over Seaton, which ended the Seasiders’ promotion hopes, lifted them out of the bottom two and meant it was winner stays up at Plymstock. Shobrooke accelerated from 69 for four to 114 for five thanks to Jon James (48) and Andrew Codling (30). Richard Pyle (35no) helped get the score up to 178 for seven. Wickets were shared with two each for Billy Gibson (2-31) and Ian Whalley (2-34). It was by no means plain sailing – Craig James (3-33) and Codling (2-32) made sure of that – and at 122 for seven with Mike Blackmore just out the game was in the balance. Gibson made an unbeaten 38 at the other end from Nicholls to get Plymstock over the line with an over to spare. CULLOMPTON’S win over Seaton ensured they avoided an immediate return to the C Division 12 months after winning promotion. Cully skipper Brendon Parr (2-14) and Todd Scrace (0-28) helped keep the runs down in mean nine-over spells. Cully wobbled for a while as Seward (3-26) spun into the early order. Skipper Parr (83) and predecessor James Blackmore (37) put on110 to take Cully within sight of victory. Tim Mitchell (2-48) removed Parr then Blackmore, which left Jason Parr (12no) and Alex Clist (14no) to see it through. Clist bravely reverse-swept a four to clinch victory with an over to go. Winning captain Parr said: “We can now regroup and look forward to next season in the B Division. “He would be the first to admit his form this year with the bat has been very poor by his standards, but he stood up when it counted and saw us across the line. Defeat cost Seaton the second promotion place behind Barton, Tavistock nicked it on the last day, not that skipper Ben Morgan was too concerned. “It is unfortunate we couldn't get over the line but, to be honest, the best two teams probably went up,” said Morgan. THOVERTON, already safe before the final round of matches, beat relegated Babbacombe by three wickets at Station Road. 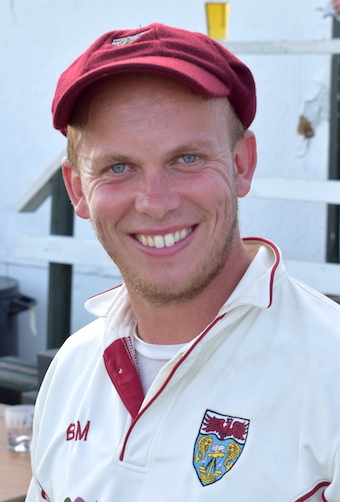 Opener Steve Lewis top scored for Babbacombe with 87 and put on 120 for the second wicket with Janrich Viljoen (35). Mike Pugh (39) and Ian Sosnowski chipped in towards a tally of 226 for seven. Andy Pitt (3-22) was the pick off the Thorverton bowlers. Thors got a 70-run start through Pitt (61) and John Farley (20), which set them up for the chase. Damon Calland (3-34) prompted the odd stumble along the way, but Ali Chilcott (24), Ben Coe (23) and Nick Barton (36no) ensured there were no slip-ups. Thorverton finished fourth in the final table, but in a division that is notoriously close fought were only 30 points from the relegation places. The second promotion spot was 47 points distant.